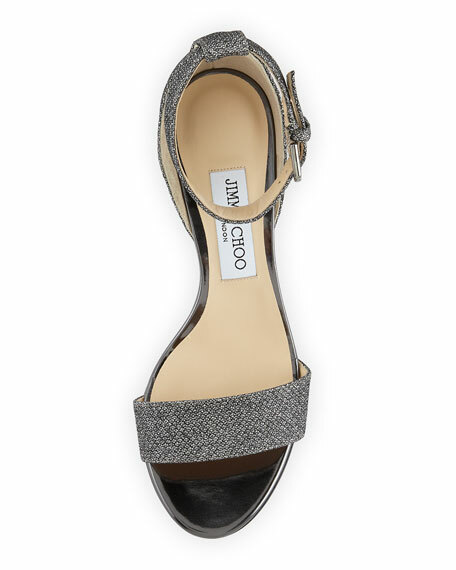 Jimmy Choo metallic fabric sandal with leather trim. "Edina" is made in Italy. 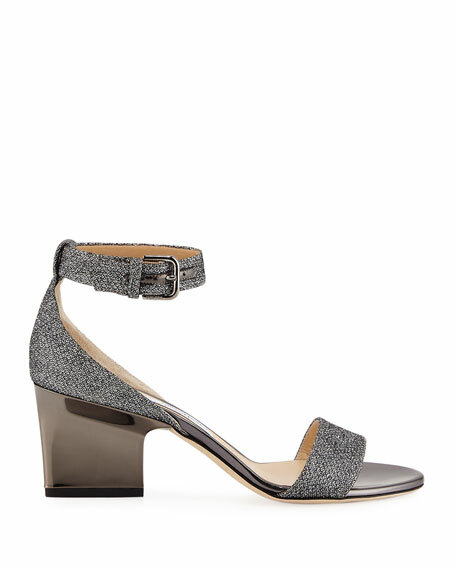 Alexander Wang see-through vinyl sandal with ball-studded midsole. 4.1" covered stiletto heel. Leather slingback strap. Slip-on style. Leather lining and sole. "Nova" is imported. EXCLUSIVELY AT NEIMAN MARCUS Pedro Garcia satin sandal with crystal embellishments. 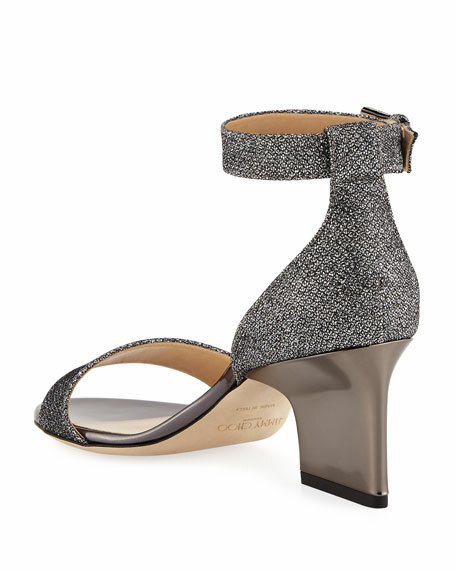 2.4" covered block heel. Strap bands open toe. Slide style. Leather lining and sole. "Xina" is made in Spain.